This business is perfect for any Land Rover enthusiast of any age, who wishes to live in the Caribbean, enjoy warm sunny days, cool dry evenings and be involved in the Land Rover world in what is probably the friendliest English speaking country in the Americas and make it a continuing successful model and scale it larger. LR Belize Ltd. Imports/Sells/Services vehicles/Parts/Accessories directly from the UK manufactured, LAND ROVER range of vehicles here in Belize, Central America. We have been in business for 15 years and during that time has built up a large loyal following of returning customers and happy buyers. This business is suited for all/any Land Rover enthusiast who would like to live in the Caribbean and take a successful business model and scale it larger if desired. LR Belize Ltd. is an easy company to run with a very low cost to maintain. Great for experienced or first time business owners. All business licence's in hand! Here is a tried and tested working business model ready as a 'Turn Key' opportunity to live in a climate that is conducive to all ages. We currently put an approximately $100.00 a month into advertising. However, each month can be different depending on the effectiveness of our advertising and how well social media advertising is performing. No subscription fees! The values shown are how much all parts in-stock are valued at any given time. Inventory will need to be re-stocked with replacement and new items on a monthly basis for best results. Why should somebody buy this business? Products are low in cost and the mark up is a lot higher than traditional expected. If someone is willing to put in the work to grow this business, it can potentially become one of the most dominate auto operations in the country. The future owner can improve the business by understanding cost efficient advertising that successfully creates incoming enquiries to conversions. What work will have we put into the business? Over the past fifteen (15) years we have created an established Land Rover operation that is known and recognized globally as being a premier location to have your Land Rover vehicle serviced and/or supplied whether you are an international traveling overlander or an in-country vehicle owner. How many hours does it take to run this business? We operate on a forty (40) hour week, Monday - Friday. We are both British subjects, myself hailing from South Wales and my wife (Joyce) born and bred in Liverpool. My wife and I arrived in Belize on May 8th 2005, after having driven from Los Angeles in a 1993 Range Rover 'classic'. We established the business and created a following that is well documented in Land Rover circles on the World Wide Web. Time to exit this industry and would like to attempt and be successful as a sheep farmer here in Belize. Do you have the courage and ambition to live the good life in the Caribbean, whilst being immersed in the Land Rover world on a global scale? Interested in learning more and seeing photo's of our operation? After checking us out and you still have serious questions? We are a the only independent LAND ROVER operation based here in Belize, Central America. At our location, Mile 63 Western Highway, we provide SALES & PARTS for all and any model of LAND ROVER. We specialize in SERVICING of the Defender range of models. we are computerized for the new 2.4Tdci & 2.2Tdci range of vehicles. On our 'Defenders For Sale' page you will find information on the most popular models we import directly into Belize. 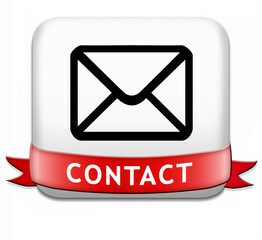 Any of the numerous add on options you would like, simply contact us with your inquiry and we will respond accordingly. All our parts are imported from the UK on a bi-weekly basis, no Asian parts offered at this location! Our team looks forward to being of assistance to you and your LAND ROVER needs, wherever in beautiful Belize you may be. Welcome to the true LAND ROVER Experience In The Caribbean.